Job Type Govt. Banking Job. Examination Center/Exam Date &Time Will be notified soon. Should have a passing certification of All India Senior School Certificate (12th Standard) or its equivalent from any authorized Institute/University in India. Is required to have a one-year Diploma Course in Computer Operation/Application from any recognized Institution in India. Desirable: Candidates should have Graduation in any discipline from any authorized University/Institute in India. Probation Period for Andaman Nicobar State Cooperative Bank Clerk Recruitment 2019 is decided for 02 years. Applying Candidates should have the educational qualification of BCA/B.Sc.in Computer Science/Diploma in Software & Hardware Engineering from any recognized University/Institute in India. Desirable: Applying Candidates should have the qualification of CCNA (Cisco Certified Networking Associate) or CCNP (Cisco Certified Networking Professional). 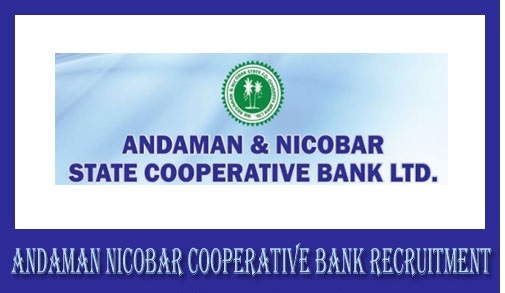 Probation Period of the Andaman Nicobar State Cooperative Bank Computer Assistant Recruitment 2019 will be of 02 years. Applying candidates in minimum should have 10th pass qualification along with Computer knowledge. Period of Probation for Andaman Nicobar State Cooperative Bank MTS Recruitment 2019 will be of 02 years. Only self-Attested copies of the certificates are to send along with the prescribed application form. Any incomplete Application form will immediately be rejected on coming via post. The Application will not be received after the due date of submission; in that case, the A & N State Cooperative Bank Ltd will not stay responsible for any kind of postal delay.